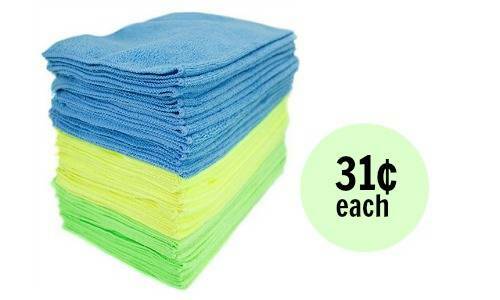 Get your house really clean with this Swipes Microfiber cleaning cloths deal from Amazon! Right now they’re offering the 48-pack of cloths for $14.99. That makes each cloth 31¢! These cloths are also great for the garage, car, and office. They are lint-free and streak-free.